I'm not much of a book worm, it could take me up to a year to finish an average sized novel. Though I am always up for a flick through Vogue. But as for actual books, Estee lalonde's 'bloom' will always be more up my street than 'the fault in our stars', despite how bloody great that story was. I love a good o'l emotional book that will really pull your heart strings. 'Everything, Everything' by Nicola Yoon is by FAR my favourite novel. It has a little bit of everything, from romance to grief. It's perfect! 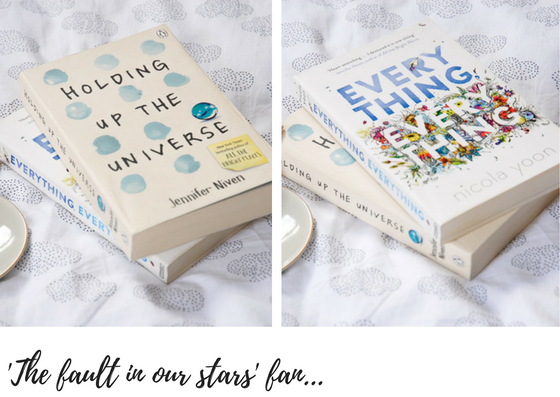 Sticking with novels that will really get you welling up.... 'holding up the universe'. 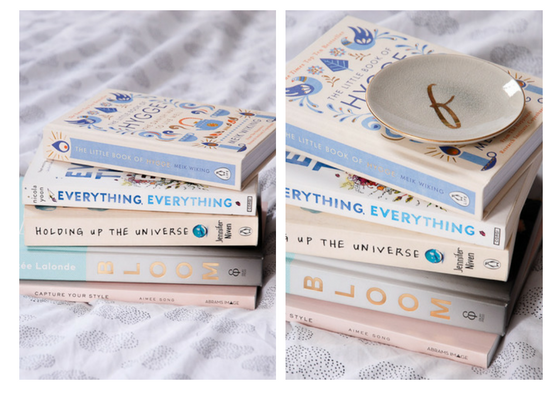 It goes hand in hand with 'Everything, Everything' as another of my fave novels. I defiantly think that this book has a lot of important lessons in it and shines a light on reality, rather than going with the cover up's that a lot of people use. 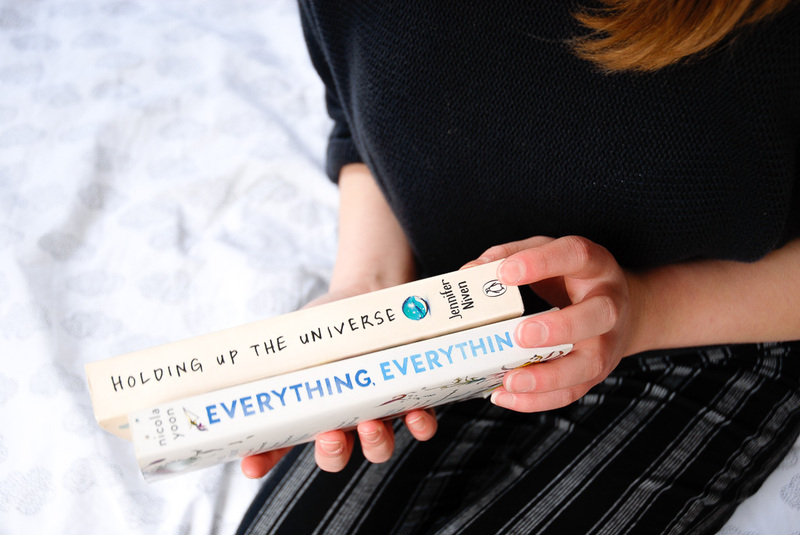 I keep looking at 'Holding up the universe' but I'm not a massive fan of reading. (I know.. everyone just stares at me when I say that!) I might be tempted to give it a try though. 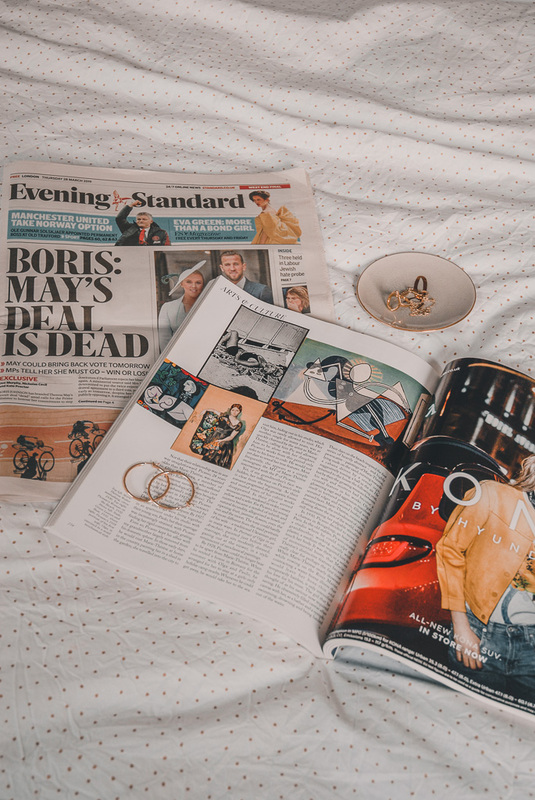 Latest blog post: Mother's Day Gift Guide! 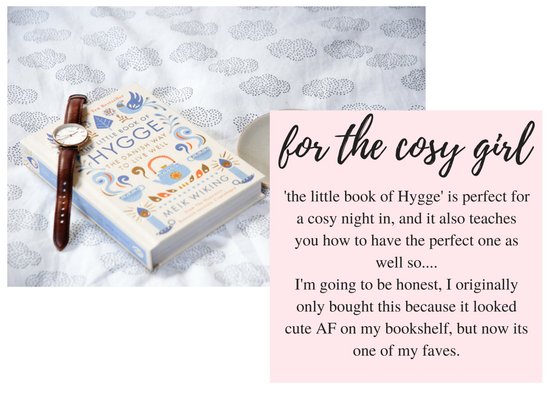 I've had hygge on my wishlist for ages now and completely forgot. Thanks for the FYI. Going to purchase now hahaha! Everything everything has been on my to read list for the longest time now!! Looks like a lot of good books I will need to add to my list! Just added all of these to my reading list! I've always wondered whether Aimee Song's book was worth purchasing, will def pop down the book store for a flip though. LOVING the way you edit these photos! 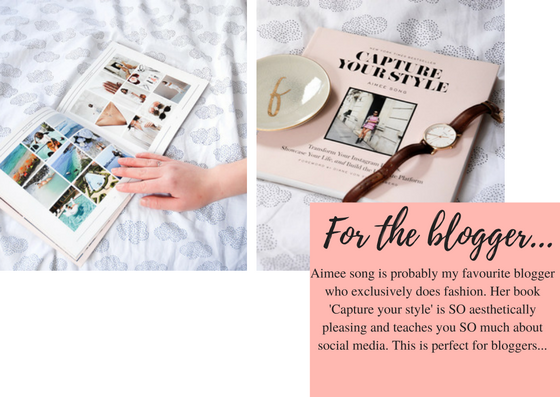 Amazing blog post! Love this! Thanks for sharing! 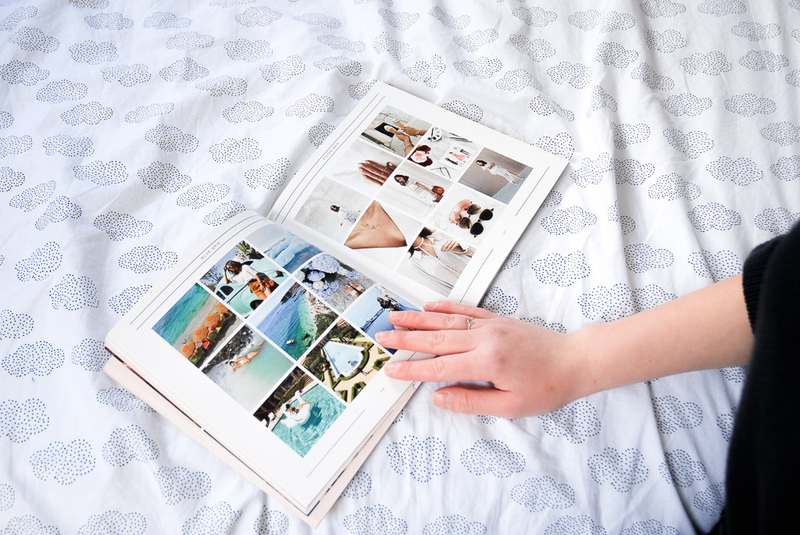 Capture Your Style and Little Book of Hygge sound like my kinda reads! I'm always and forever on the lookout for great reads so thanks so much for the recommendations, definitely will be taking them into account!